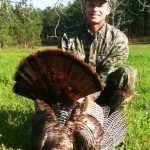 Ryan is a Certified Wildlife Biologist® and serves as the Wildlife Consulting Manager and Hunting Lease Manager for Westervelt Wildlife Services. Ryan specializes in assisting private landowners and hunting clubs across the country in developing innovative habitat and population management plans for various game species. His management and research is focused primarily on applied habitat and population management techniques to maximize the quality of upland game species and their habitats. 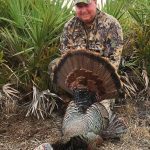 He is often a featured speaker at deer management seminars around the country and has authored numerous articles for various publications in the wildlife management and hunting industry. Ryan also writes the “Food Plot Species Profile” and serves on the “Age This” panel for Quality Whitetails magazine. Ryan and his wife have 3 daughters and live in Demopolis, Alabama.